Bring a celestial touch to any room with this modern LED accent table lamp. With 19 glass tubes coming out of the center sphere to resemble a shining star, this chrome finish lamp is sure to turn heads. Each tube contains built-in energy efficient LED lights to brighten up any decor. Integrated 1 watt LED module. Modern LED star table lamp. Chrome finish; Metal and glass construction. Unusual and beautiful. I love stars. Can you buy colored bulbs for the lamp? BEST ANSWER: Hi, the lamp has built in LED arrays that cannot be replaced. How many bulbs does it have? How bright is it? BEST ANSWER: Hi Julia - this includes nineteen LED's with an overall lumen output of 1270 (approximately equivalent to an 85 watt incandescent bulb) with a color temperature of 3000K which is considered a cool white. BEST ANSWER: No, this is not dimmable. Could you please let me know how long the electrical cord is? BEST ANSWER: Hello! This comes with a 76" cord. Hope this helps! BEST ANSWER: Hi! The diameter of this table lamp at its widest is 13.5 inches. The bottom base is 6 inches wide. Topped with a oatmeal shade and set on a sleek bronze finish metal basethis contemporary table lamp is a picture of elegance. 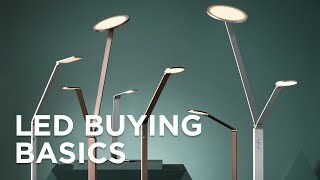 A great valuethis multi-tasking lamp provides illuminating style for desks or tablesplus serves as a smartphone or tablet recharging station thanks to its USB port. Give your living space the updatemodernly elegant accent it needs with this contemporary table lamp&#8217;s glass white dome shade.